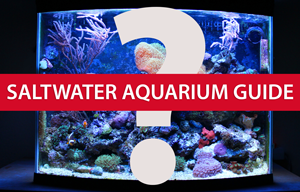 Once you have convinced yourself that you actually want to set up an aquarium you must make a few considerations. What hardware you’ll need for filtration, heating, lighting, etc. As you can see, there are a few bases to cover. You’ll need to take some time to research. You’ll need to purchase many pieces of equipment and supplies. You’ll need to take the time to put it all together and get the aquarium running. You’ll need to cycle the aquarium. You’ll need to stock the tank with aquarium inhabitants.